Heat oven to 375°F. In 12-inch ovenproof stainless-steel skillet, heat 1/4 cup of the butter over medium-high heat. Add onions, garlic, 3 teaspoons of the thyme, the salt and pepper; cook 9 to 10 minutes, stirring occasionally, until onions start to brown. 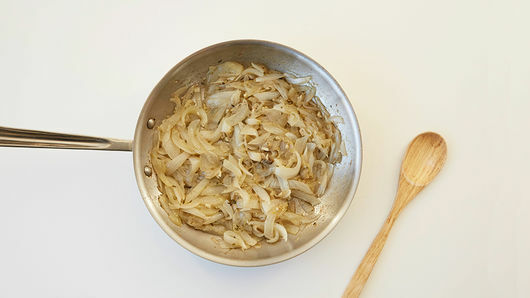 Reduce heat to medium; cook 10 to 12 minutes, stirring frequently, until onions are caramelized. Add broth and chicken to caramelized onion mixture; heat to simmering. Remove from heat. Meanwhile, in small microwavable bowl, microwave remaining 1/4 cup butter uncovered on High 20 to 30 seconds or until melted; brush on both sides of bread slices. Arrange on ungreased large cookie sheet, and toast in oven 8 to 10 minutes or until slightly toasted and starting to brown; remove from oven. 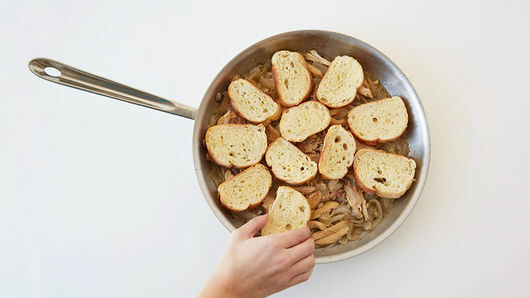 Arrange bread slices in skillet on top of onion mixture; top with cheese. 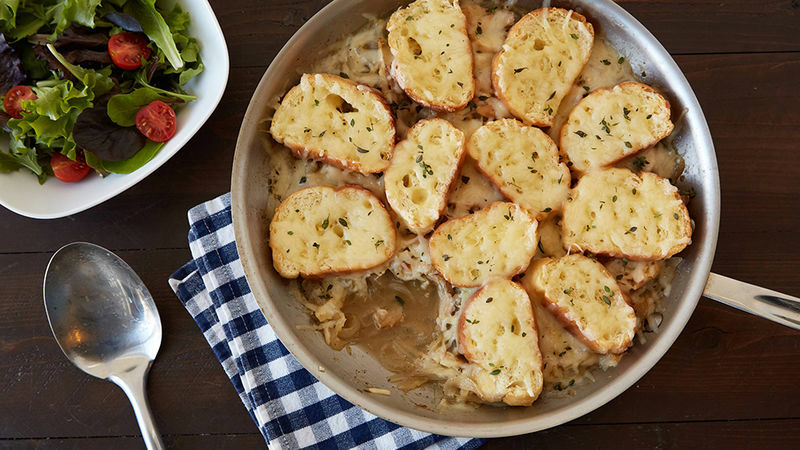 Bake uncovered 10 to 12 minutes or until cheese is melted. Top with remaining 1 teaspoon thyme. Great to serve with a fresh green salad. 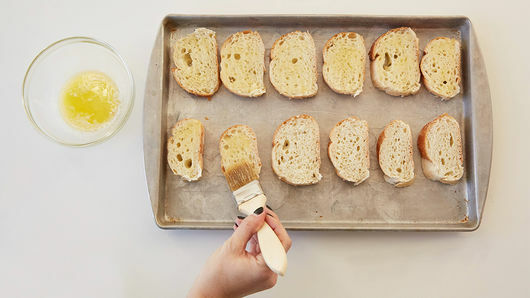 French bread can vary in size; adjust the number of slices you will need based on coverage in your skillet.